It’s an early morning and you’ve got a long day ahead of you, but the usual coffee and toast isn’t working for you anymore. It’s three o’clock and your days not over yet, but you can’t seem to summon the energy to make it through the rest of the day. No matter what the situation is, we all have a need for energizing foods that don’t come at a cost to your health. Here are 10 foods that boost your energy and eliminate the need for a cup (or eight) of coffee every day. Tis the season! Carving pumpkins is good for more than a festive decoration to be placed on your front porch. It’s the stuff inside that proves most beneficial. Pumpkin seeds give you sustained energy throughout the day and they make a delicious snack when baked and sprinkled lightly with sea salt. The good news is that once the fall season is over, these energizing seeds can still be purchased at a grocery store. 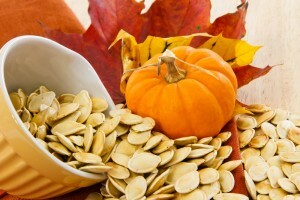 Pumpkin seeds also make an excellent garnish on salads for a healthy lunch or dinner option. A simple spoonful of honey is a natural substitute for energy drinks. It works excellent for both pre and post workout nourishment because it behaves as a time released muscle fuel during your workout and helps to rejuvenate your tired muscles after the fact. Any opportunity to avoid sugary energy drinks with dangerously high amounts of caffeine should be taken. In addition, honey can be drizzled into herbal teas, greek yogurt, or over fruit for added energy. These energy-packed veggies are versatile and can be prepared in a number of ways. They make an excellent snack when sliced up and eaten alone or with a healthy dip like hummus. Peppers also work well as an ingredient in many different dishes. These vegetables contain Vitamin C, Vitamin A, and fiber among other healthy nutrients, and they are also known to help keep your appetite under control. Conveniently, hummus is also a powerfully energizing food source. Made from chickpeas, hummus helps to keep you sustained especially when paired with other energy giving foods (like peppers). 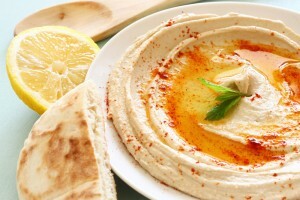 Take caution when purchasing hummus because there are many variations and some are healthier than others. Avoid selecting those that have unfamiliar or high amounts additives among the ingredients. There is a large list of health benefits that salmon offers, and energy is just one of them. This super food contains high amounts of protein, carbohydrates, and healthy fats as well as Omega-3s, which help with inflammation and joint pain just to name a few benefits. Consider one of these delicious salmon recipes for your next healthy and energizing meal. 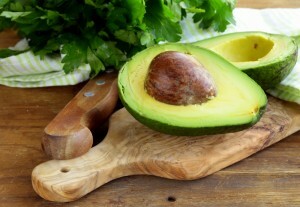 Avocados contain many healthy nutrients such as potassium, healthy fats, and they deliver long-lasting energy. The beauty of the avocado is that it is portable and can be eaten all by itself while still filling you up. It is also delicious when tossed into a yummy spinach salad for an energizing lunch, or you can add grilled chicken for a protein packed meal that delivers tons of energy. No matter how many different variations of diets you may have tired, eggs always make the list of allowed foods, whether in entirety or just the egg whites. There’s a reason for that; they are super healthy. Eggs are protein packed and provide an excellent boost of energy to start the day. They also help with fitness routines designed around weight lifting and muscle building, which also provides your body with more energy. Brown rice is an excellent source of manganese and aids in providing energy for your body. This healthy food is extremely versatile and works well served with high protein foods like salmon or chicken. It is broken down slowly by the body, which prevents you from being hungry shortly after eating. An apple a day keeps the doctor away, and it also keeps the afternoon yawns away. Apples provide a number of vitamins and minerals as well as fiber, which helps with digestion. It is an excellent and natural source of energy and makes a yummy snack either all on its own or with other energizing fruits like pineapple or strawberries. Yes you read that right; chocolate is a great source of energy, but not just any chocolate. Milk chocolate is loaded with sugar that will lead to a short-lived boost of energy followed by a sugar crash later on. 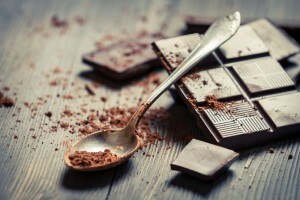 Dark chocolate contains antioxidants that provide energy. But as with all good things in life, it must be eaten only in moderation. So, next time you go for an energy drink, candy bar, or another cup of coffee to fill your energy void, you can look elsewhere. There are plenty of high-energy foods that also provide health benefits to get you through the rest of your day and the days to come.